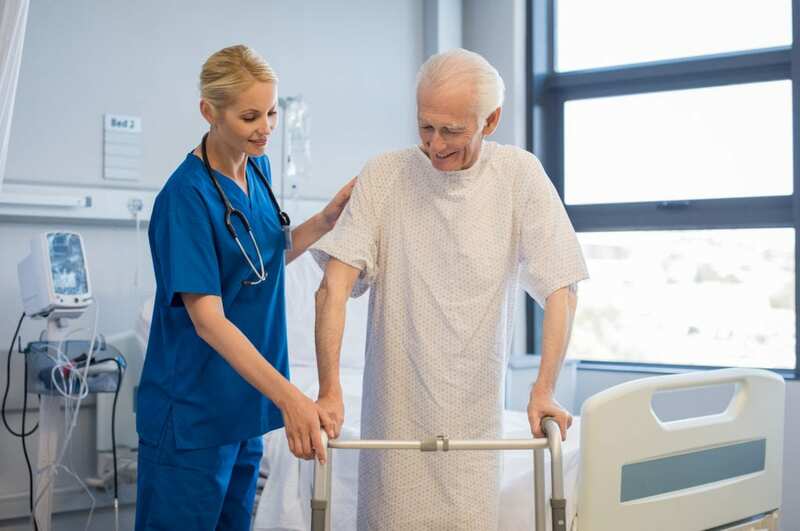 The health care sector depends on the services of Certified Nursing Assistants to provide supply the personal care that patients or residents need. CNAs work in various settings – and you may have the unique opportunity to explore different areas to find the one that’s most rewarding. Most CNAs start their careers in long-term care facilities and nursing homes for a number of reasons. For one, it is in these settings where vacancies are most prevalent. The senior population is on the rise, which creates a huge demand for health care works. If you enjoy working with elderly patients, then long-term care will provide an excellent and stable place to practice. Another reason long-term care provides the starting point for most CNAs is the opportunity to recover the cost of training. Medicare and Medicaid funded facilities will cover the cost of training if you begin working there before or within 12 months of completing the program and obtaining state certification. A final reason CNAs choose long-term care may be attributed to the training. Most nursing assistant programs prepare students to care for elderly and disabled residents of long-term care facilities. They may even complete the clinical requirements in such a facility and will find it a simple matter to start in a place where they can put their skills to immediate use. Excel CNA Training prepares students for both CNA and Nursing jobs. Graduates are better qualified to form a part of health care teams where they become active participants in promoting health and wellness. The program is approved by Washington State Department of Health and includes instruction in the classroom and lab followed by a clinical experience at a skilled nursing facility. Day classes run from Monday through Friday from 9:00 am t0 3:00 pm for three weeks. Evening classes meet Monday through Friday from 3:00 pm to 9:00 pm for three weeks. Kamanga Vocational CNA School is licensed by the state to conduct CNA training to prepare students for the certification exam. Graduates will be eligible to take the state test to become a Certified Nursing Assistant. The program includes classroom lectures and practical learning experiences to prepare students to provide direct patient care in a long-term care setting. Course topics include communication skills, the rules and regulations that govern healthcare, basic restorative skills, safety and emergency procedures, CPR certification, personal care skills, infection control including blood borne diseases and HIV/AIDS, patient dignity and rights, and vital signs. Applications must have a high school diploma or GED, commit to attending classes for 6 hours a day for 5 days and take the class tests, provide documentation of negative TB test, be able to communicate effectively in English, submit to a background inquiry, and provide a recent photo. Students must register as a nurse assistant with the Department of Health. Applicants who do not have a high school diploma or GED will be expected to take an entrance exam. In addition to class sessions, students will be expected to attend two 8-hour lab sessions and a 50-hour clinical experience. A uniform and gait belt is compulsory for the clinical session. Tuition and registration cost $500 and must be paid on or before the first day of class. The use of a textbook is included in the cost. Nursing Assistant Training School facilitates a CNA program that gives students the skills to provide the best quality care in acute and long-term care settings. Graduates have the freedom to take the state exam to become a Certified Nursing Assistant or pursue further studies to become a Licensed Practical Nurse or Registered Nurse. A registered nurse instructor will provide the quality training that students need to succeed in healthcare. The curriculum includes theory and practical instruction in the areas of personal skills, vital signs, legal and ethical issues, patient rights and dignity, nutrition, infection control, care of the cognitively impaired, body mechanics and vital signs, CPR and First Aid, restorative care, and basic nursing skills. Adult CPR and HIV/AIDS training are also included in the program. Day classes meet Wednesday through Friday from 9:00 am to 1:30 pm for one month. To successfully complete the class, students must attend all classes and the clinical sessions, pass all the exams with a score of 80% or higher, and pass the state competency exam. The state test is administered at NATI’s approved facility. Applicants must pass the entrance exam, provide photo identification and social security number, have no back problems, and pass a state background test. Tuition and registration cost $600 – the textbook is included. Additional costs include state exam fee, CNA license fee, TB, and uniform.